André Greipel proved beyond doubt that he is the fastest sprinter at the Tour Down Under when he took his third stage win in Goolwa today. The HTC Columbia rider got another perfect ride to the line from his lead-out train to beat comeback man Robbie McEwen and consolidate his overall lead. The well drilled win came despite the last 20 kilometres of racing being run in chaotic conditions as strong cross winds battered the peloton. Greipel was given an armchair ride to 100 metres to go, a team performance that HTC Columbia boss Bob Stapleton said was one of their best in the last two years. “I’m just really proud of the way the team worked, they really gelled,” Stapleton said. The seven man break that slipped the peloton’s clutches before the long climb of Fox Creek road at 26km had the advantage of a tail wind for much of the day. But with their time cushion never getting above three minutes they were soon caught when the route changed direction and they lost their advantage. 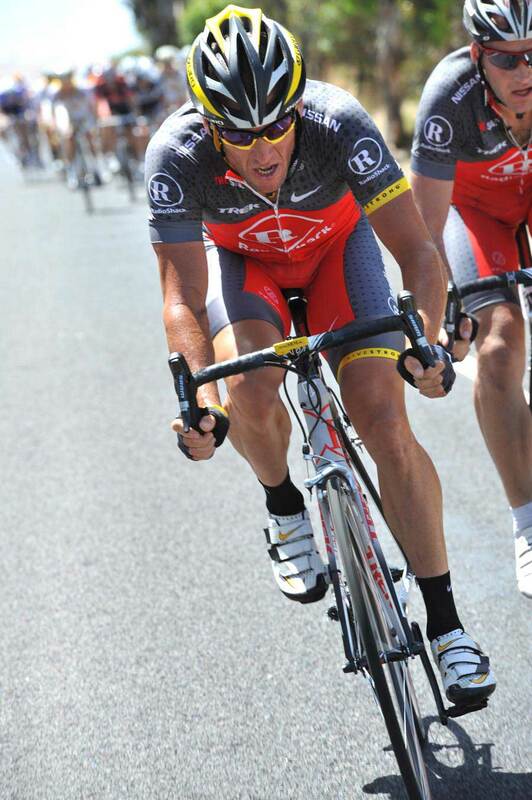 As winds played havoc with the bunch, Team RadioShack saw their chance and catapulted Lance Armstrong up the road with team mate Tomas Vaitkus. The pair built a lead of 23 seconds at one point, and panic set in as the American was only 20 seconds down on the lead. The splintering bunch eventually go organisd and brought them back, but it was only in the last five kilometres. 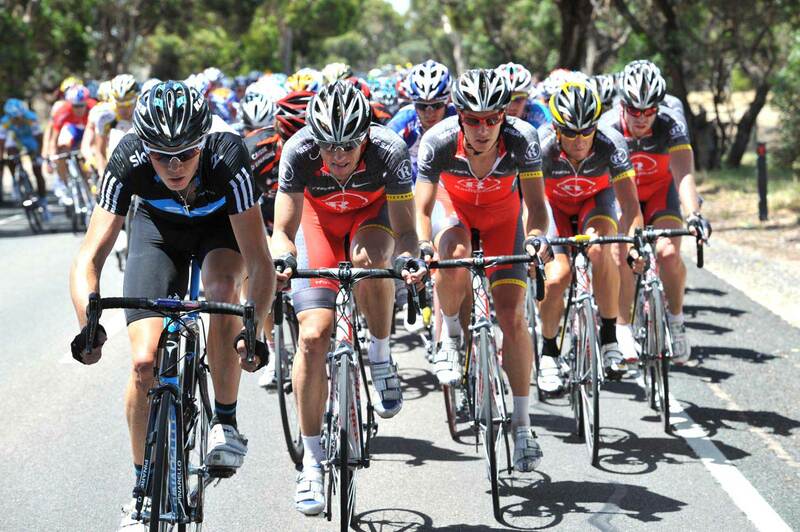 Team Sky’s Chris Froome piles on the pace as the peloton brings back the seven man group.